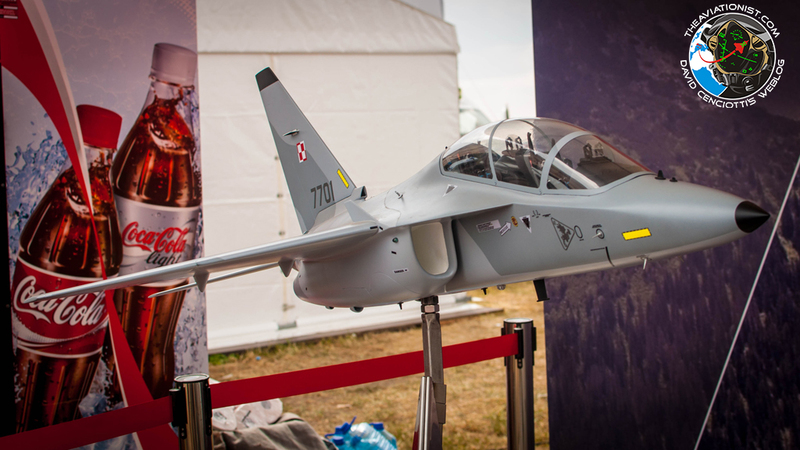 Along with an impressive line-up, what made Radom Airshow 2015 interesting was the fact that it provided an overview of some of the weapons systems involved, in one way or another one, in several Polish Armed Forces procurement programs. 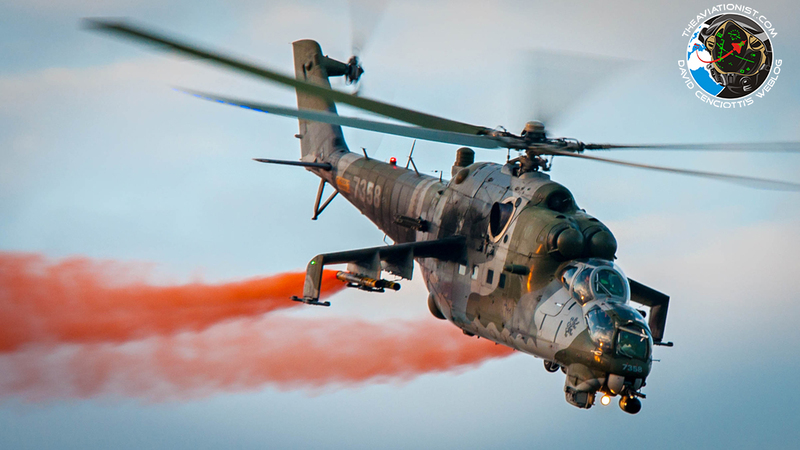 Among the aircraft that took part in the largest airshow organized in Poland this year there was the T129 ATAK helicopter, offered by TAI within the scope of the Polish “Kruk” attack helicopter tender, that performed an interesting dynamic display. Secondly, the ATK company presented its AGM-88E AARGM (Advanced Anti-Radiation Guided Missile) which is offered as a complementary element of ordnance for the Polish F-16 fleet. Then, Alenia Aermacchi company showcased a scale model of M-346 Master armed with the Brimstone missiles. 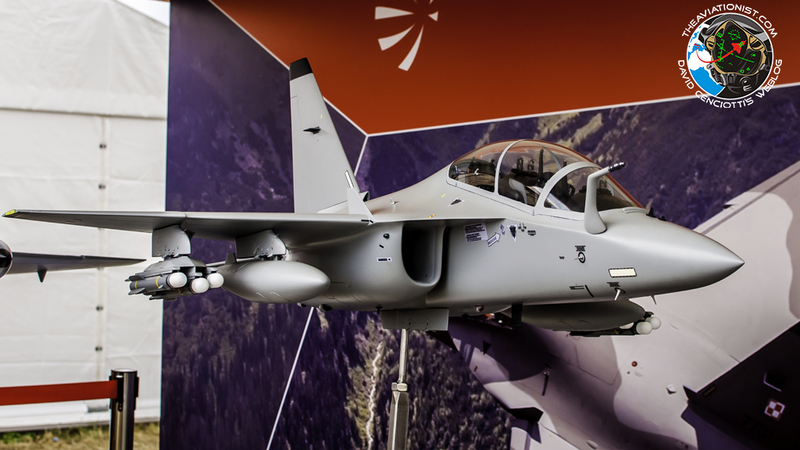 Poland has already procured eight M-346 jets for the Air Force Academy but along with the advanced jet training role the “Master” could also partly replace the old (but recently upgraded) Polish Su-22 fighter bombers thanks to the advertised ground attack capabilities. The main portion of the show belonged to the aerobatic teams. 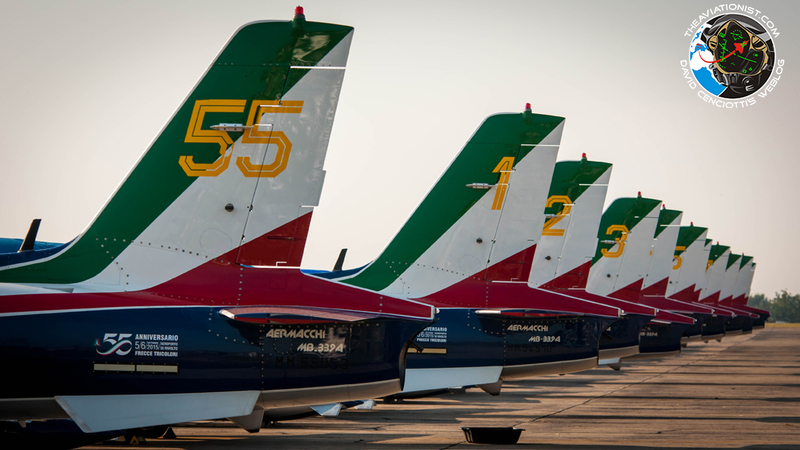 Radom flightline included the Polish Orlik and Iskry teams, as well as the famous Frecce Tricolori, along with Patrulla Águila and Patrulla Aspa from Spain, Swiss Patrouille de Suisse team, Baby Blue team from Denmark or the Baltic Bees team from Latvia. Fighter jets also performed spectacular displays. Both the Italian Eurofighter Typhoon, the Polish and Slovak MiG-29 and Belgian or Greek F-16 fighters, and the French Rafale took part in the air display with stunning maneuvers. 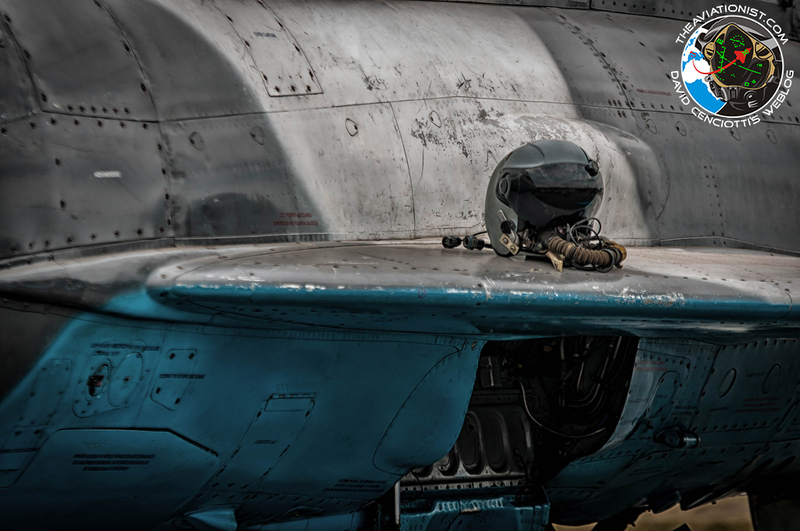 However, one of the most spectacular displays was performed by the Romanian MiG-21 LanceR, as this fighter is at least two decades older than the fourth generation jets. 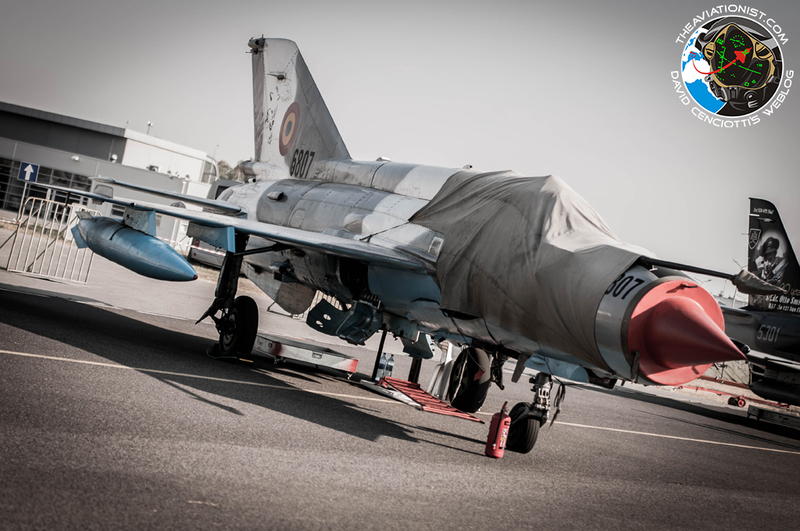 The MiG-21 display exhibited the raw power of the Cold War jet, with a lot of afterburner coming into play. Two displays that are worth mentioning here were performed by the role demo teams – the Polish Su-22 aerobatic team which presented the capabilities of the old jet – including spectacular passes with varied geometry of the wings (which is quite difficult, considering the small speed overlap in case of the extreme wing positions). 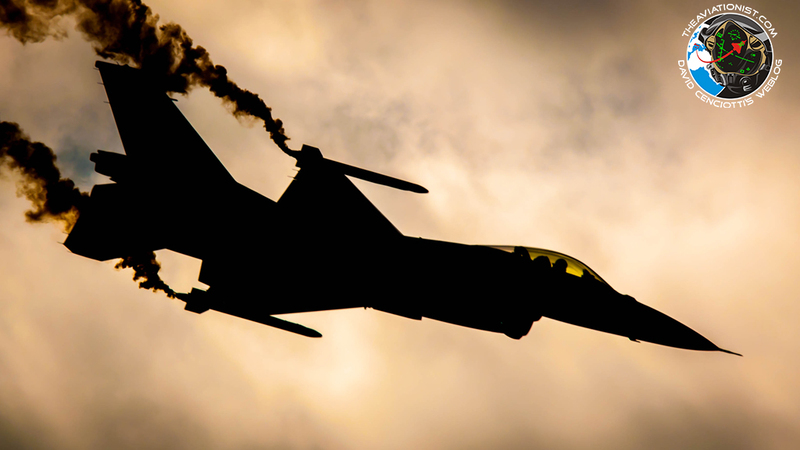 Second display was performed by a CAS-role demo team with the Polish F-16 jets performing a CAS (Close Air Support) demonstration, together with the Fitters. Unfortunately, the F-16 solo display did not take place during the Radom show, even though the demo team is involved in intensive training activities over the Krzesiny airbase. 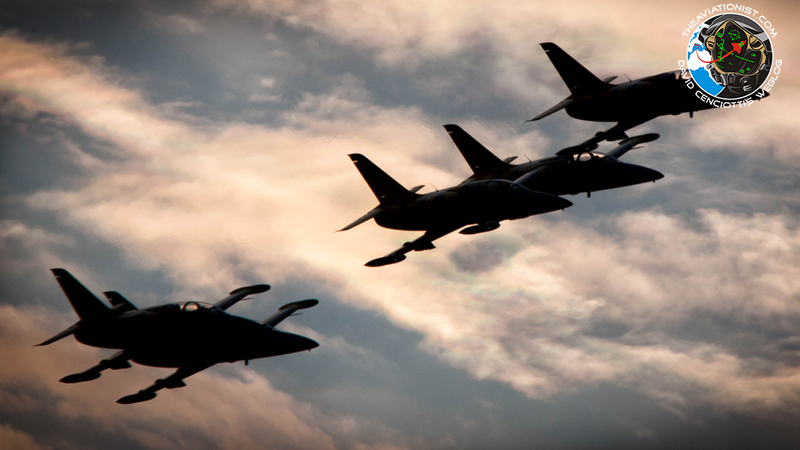 The display is rumored to have a premiere planned for the Krzesiny Air Base annual air show, scheduled on Sep. 5. 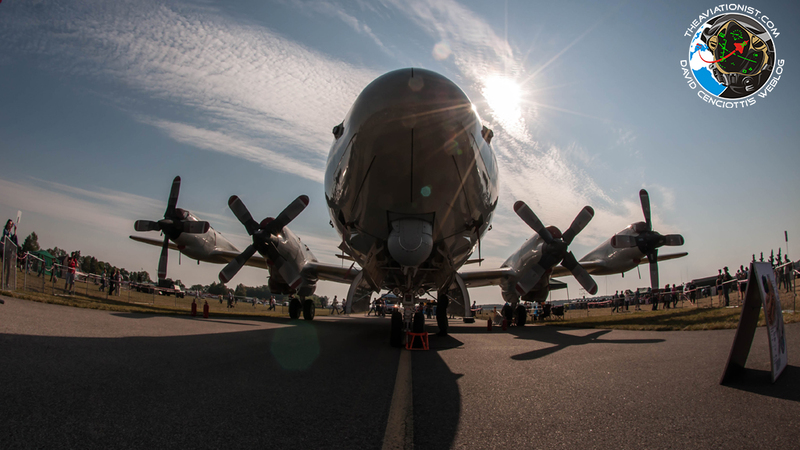 The static display also featured numerous interesting airframes, as the above-mentioned MiG-21, two examples of C-27J Spartan transports, Israeli C-130 Hercules (open to the public) and the German P3 Orion. The Polish Air Force showcased all of its inventory as well, including the Mi-8 and Mi-14PŁ helicopters and F-16, Su-22 and MiG-29 fighters. Even Kaman Seasprite helicopter of the Polish Navy was presented in a static display, unfortunately without the special color scheme painted on the fuselage. 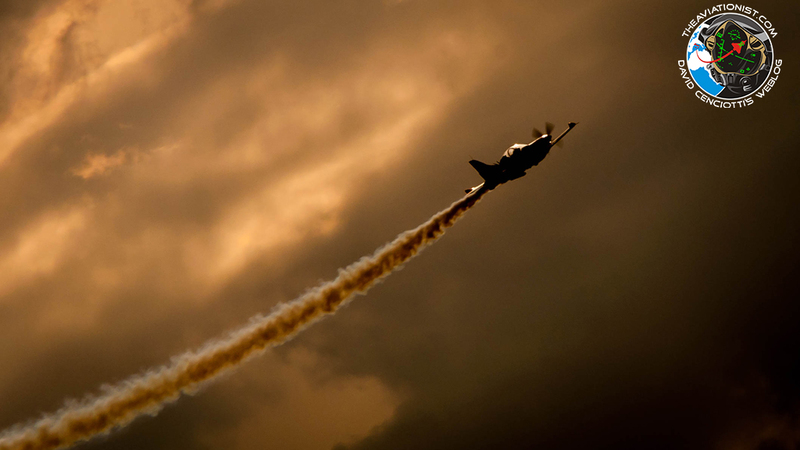 Overall the air show in Radom was very interesting. The only thing lacking were the jets from beyond the Eastern border of Poland, such as the Ukrainian or Belarusian Su-27 Flankers or Su-24 Fencers. However, in the current geopolitical situation, it is hard to expect that the Ukrainians would attend any air show east of Hungary. The Belarus’s Flanker fleet is in a really bad shape, on the other hand – according to some of the last year’s reports. U.S. A-10 Thunderbolds to be temporarily stationed in Poland?